Phew! I made it. HAPPY NEW YEAR. When I told a friend 2 weeks ago that I was going to try to do a post a day until the end of the year she looked a little concerned. "Seems like a lot of work," she said. "Oh, it will be fun." I said. They will all be short." I would like to thank Yo Gabba Gabba!, Max and Ruby, The Sound of Music, and my husband for giving me the time to do these posts. 1. I left the sugar out of the sugar cookie recipe and put too much butter in the shortcrust recipe. 2. 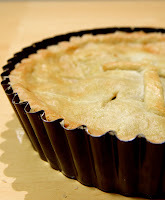 I stayed up until 1 am working on the shortcrust pastry post. 3. I had to get up at 5 am the morning after the shortcrust pastry post AND be a nice parent. 4. Two days ago I was officially sick of cooking. So I ate frozen pizza. But by the morning I was ready to make a pie. 5. 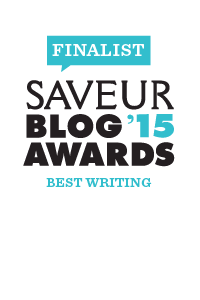 My husband told me (lovingly) I was becoming an obsessive blogger. 1. I am getting faster at putting a story together. 2. Recipes are flowing more easily now. 3. I have many new recipes that I can now call my own. Satisfying to own a recipe. Who knew? 4. Dash still asks me every morning, "What we gonna cook today?" It really means a lot that you all are reading, commenting, trying the recipes, and giving me feedback. It feels like it is all adding up to something. Thank you. See you in a week or so with Bella's three-tiered birthday cake. She is designing it as we speak. Here's the list of recipes from the Recipe Countdown to 2010 in case you missed one. We made this pie several times over the past few weeks. Dash likes to help assemble it. We put slices of cheddar cheese directly beneath the top crust. Make sure you use a deep pie or cake pan. Let your kids decorate the top of the pie with scraps. Here are two of the pies we made this month. You could also do mini pies in ramekins. All the components for this pie freeze really well. You can freeze the pastry dough and the cooled lamb filling. You can even half-bake the pie, cool it, and then freeze it. 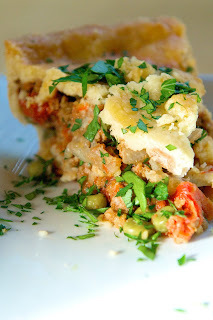 Or make a shepherd's pie by omitting the pastry dough and spreading mashed potatoes on top of the filling. Bake until potatoes are golden brown. We've put yogurt and pomegranates on everything this winter— from stews to curries to pies. There's something wonderful about the cool and sour yogurt with the sweet explosive pomegranate seeds. Our dog agreed. Use a deep pie plate or cake pan that's around 9 inches. Mix flour and salt in a bowl. Cut butter into 1/2 inch square chunks and toss into dry ingredients. With your fingers or a pastry cutter, incorporate the butter into the flour mixture until the butter chunks are the size of peas. Add half the cold water and mix it in with a fork. Add more water if you need to, enough so that when you squeeze the mixture in your fingers it's just moist enough to form a dough. Split mixture into 2 piles on 2 large pieces of plastic wrap. Use the sides of the plastic wrap to press each pile of dough into a 1 inch high disc. Wrap tightly and refrigerate for at least an hour before rolling them out. Roll out one disc of dough until it's a bit bigger than your pie dish. Place shell in dish firmly (leave edges untrimmed for now) and put it the fridge. Roll out the other piece of dough until it's about the same size. Place on a sheet pan in the fridge until your filling is ready. Cover the dough with plastic wrap if it's going to be more than an hour. Heat large saucepan over medium heat. Drizzle in olive oil. Add onion. Add salt and pepper. Cook for a few minutes until onions are translucent. Press or grate in garlic and cook for one minute stirring constantly. Add ground lamb and break it apart with a wooden spoon. Cook while stirring until lamb is no longer pink (about 5 minutes). Add tomato paste, cumin, cinnamon, paprika, and bay leaf. Cook for about 20 minutes to bring the flavors together and to reduce down the liquid. Remove the bay leaf. Turn off the heat and stir in the frozen peas. You can let it cool all the way and put in the refrigerator or freezer until later or bake the pie right away. The filling doesn't have to be cool when you bake the tart. Remove pie pan from fridge. Pour lamb filling into the shell. Place cheddar slices all over the top of the filling. Place rolled out pie shell on top of the filling and cheese. Pinch the top and bottom shells together with your fingers or a fork. You can make scalloped edges with your thumb. You can even put a fancy pattern on top of the dough with the dough scraps. Whisk egg with cream or half and half. Paint the top of the pie with a thin layer of the egg mixture. Slice a few decorative holes on top of the pie for steam to escape. Bake until golden brown and bubbling, about 60-75 minutes. Serve just the way it is. Or serve with yogurt and pomegranate seeds. 1. Make mini pies in ramekins. 2. To make shepherd's pie: omit pastry crust and instead cover the cheese and lamb filling with mashed potatoes. Bake until potatoes are golden brown. phyllis these have all been great! i'm so impressed that you got your top ten list done. i really want to try ALL of your recipes. and, as always, i love the photos. keep 'em coming in 2010! So glad we reconnected! I subscribed to your blog to stay connected to what you are cookin'. I love the idea of hitting Camino together. I am hungry just thinking about their food. Phyllis thanks for the great recipe. We made it last night and it was so good I ate some for breakfast! I am a friend of Eliza's and she turned me onto your blog. Yummm! The yogurt was incredible with it, we didnt have any pomegranates. yum. i had a bit of it for breakfast last week as well. thanks for your comment. say hi to lovely eliza if you see her. I just received a wonderful email from your Mother-we have been out-of-touch for a few years but I met some old stanford friends (Jill, a freshman roommate!) a few weeks ago and they passed my email address on to her! I love reading your blog-you have inherited your Mother's talents! She will catch you up with Eizabeth. Turns out that Jonathan is a fantastic cook and when we visit in Portland we go to markets and cook wonderful meals together!